Too many mothers with postpartum depression or anxiety put off seeking help or getting the care they need. One reason for this is because they just don’t know where to go or who to talk to. And even if they did know, the idea of leaving the house for appointments can be both inconvenient and terrifying. The good news is that, thanks to modern technology, there are many ways for a mother to get online help for postpartum depression from the comfort of her own home. Not only is it convenient, but it makes it easier to find the right person to speak to. Instead of having to rely on resources available locally, women now have access to an international panel of experts. It’s tough to arrange for childcare during appointments, especially with a brand new or exclusively breastfed baby. There is a lot of stigma around “going to therapy” that may deter a mother from choosing to do it in public. With so many horror stories of mothers being treated like criminals, they may avoid speaking to someone without knowing how that person will react first. Finding the right therapist can be difficult. It sometimes requires a referral from a doctor, which can delay the process. Having to make phone calls to set up appointments, get dressed to go out, interact with others socially and feel judged by everyone along the way is an exhausting task for mothers with postpartum depression. Mothers don’t always feel at their worst between 9 – 5, Monday to Friday. Some therapists might offer an emergency number to call but that would mean inconveniencing someone and mothers aren’t usually down for doing that, no matter how bad it gets. Signing up for online therapy can solve so many of these problems. On sites such as Online-Therapy.com, you have a better chance of being matched with a therapist that is right for you. You have the ability to speak to your therapist through a live chat or e-mail, which makes it much more convenient. You can even purchase sessions for just one week at a time, so there’s no huge commitment if you find it’s not for you. With online therapy you also get a variety of other tools and resources at your disposal, 24/7. You can access an online forum for therapy members, yoga and meditation videos, workbooks and more. You get so much more than just a therapy session, and you can do it all right from home. Sometimes, when you are having a really bad day, you just need to talk to someone who understands. A helpline is designed specifically for that purpose. 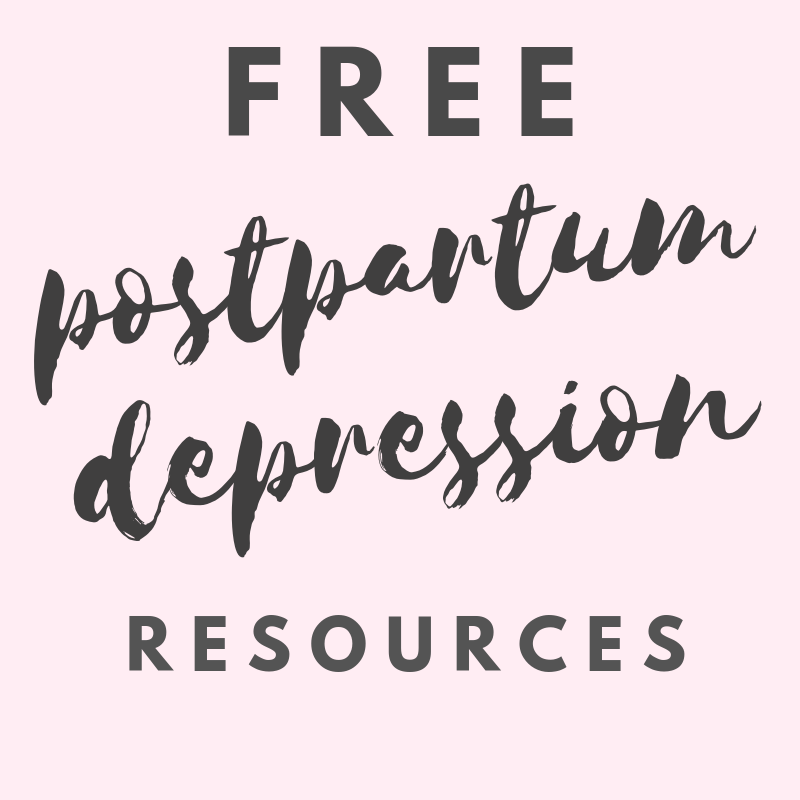 While not technically considered online help for postpartum depression, it’s still something that you can do from the comfort of your own home and have access to 24/7. Call the National Crisis Services Canada Number 1-833-456-4566 and you will be connected with the closest provincial crisis center to your location. On the Befrienders Worldwide website, you can search for suicide helplines by country. The website is also available in different languages and provides resources and information about mental health. Call the Postpartum Support International’s Helpline 1-800-944-4773 (4PPD). It’s a messaging system so you would have to leave a message and then someone would get back to you as soon as possible. It is NOT meant for emergencies, but rather, to find out where and how to get help. Texting is a newer way that moms can get online help for postpartum depression and many support groups are making this an option. It is so much easier for a mother battling a mental illness to send a text message when she’s overwhelmed with thoughts and feelings, rather than speak to someone over the phone or face to face. Text HOME to 741741 for any type of crisis and a trained counselor from the Crisis Text Line will respond 24/7. Text HOME to 686868 to access the Crisis Text Line in Canada. This text line is managed by volunteers and is a division of the Kids Help Phone. Text Crisis Services Canada at 45645 anytime between 5 pm and 1 am and get a response from someone at the crisis center. A live chat option is also available on their website (also between 5 pm and 1 am). You can also text the Postpartum Support International’s Warmline at 503-894-9453 for information and to get support and resources close to where you live. Many local support groups also offer their own text line, so make sure to find out what they are and store them in your phone for emergencies. Facebook support groups are a great way to get online help for postpartum depression. Not only will you be able to find some posts that you relate to, but you’ll see that you’re not alone in your struggles. If you’re not big on communicating with strangers, it helps just to read some of the posts and comments. If you have a particular question, you can search for it in the group and see if someone else has already asked about it. It’s a great resource to get peer support and advice for postpartum depression and anxiety. Postpartum Support International – Group Size: Large (8,000 + Members). If you have a question about treatment options, symptoms, previous experiences – this is the place to go to get your questions answered. PSI’s support group is a mix of health care professionals, therapists, sufferers and survivors. If you have a question about anything related to perinatal mood and anxiety disorders, you will find it here. Momma’s Postpartum Depression Support Group – Group Size: Medium (4,000 + Members). This group is a very supportive one and the perfect place to go and vent about what you’re feeling. If you just need someone to talk to or share your story with someone who will understand, then the women in this group are here for you. Postpartum Depression & Anxiety Support Group – Group Size: Small (3,000 + Members). What I love about this smaller group is that you really get the chance to connect with other members. If you’re seeking more than just a sounding board, and hoping to make friends and build a support system to help you through this difficult time, then consider joining this group. A postpartum doula is someone who comes to your house after you have a baby specifically to help you out. They are not like a nanny, in that, they are there to support you and not simply to take care of the baby and the house. They are trained to recognize the early symptoms of a perinatal mood and anxiety disorder and can direct you where to get help. Most can be hired to work a night shift so that you can get the sleep you desperately need. I consider this a form of online help for postpartum depression because searching various websites is generally the best way to find the right doula for you. One of the most widely recognized doula certification organizations – you can search their database for a postpartum doula near you! A non-profit organization that supports doulas and other professional childbirth educators. Their list includes both certified and non-certified doulas. You can search a database of over 10,000 doulas in Canada and the US and the best part is that you can enter the dates when you would need their services to make sure that they are available before contacting them. There are so many apps available to help with almost any kind of problem you’re experiencing. Online help for postpartum depression in the form of an app is so convenient and always at your fingertips. Instead of scrolling through social media on your phone, download a meditation or self care app to use regularly instead. This is part of an important research study but also provides resources for women with postpartum depression. Read more about it on the Pact For The Cure website. This is a good one for new moms who are concerned about developing postpartum depression or anxiety. It contains questionnaires to assess your mood and stress level and will remind you to take them again every few weeks so that you can document any changes. The questions are similar to those used by medical professionals to check for maternal mood disorders. This app was originally designed by the military to help patients coping with PTSD. It’s recommended by therapists as a supplement to treatment for stress and anxiety disorders, but it can be a great tool for a mother battling postpartum depression. You have the ability to add happy photos or video memories, favorite songs and quotes and access tools for coping with stress and anxiety. Practicing meditation and mindfulness are great ways to help with postpartum depression and anxiety. This popular meditation app is easy to use and has sessions ranging from 1 minute up to 10 minutes. It’s perfect for a busy mom with only a few minutes to spare. Online help for postpartum depression should never be a replacement for help from a medical professional. Always make sure that your doctor knows what you are feeling. But also, get educated. Know who to call and how to take care of yourself. When my battle with postpartum depression began, 6 years ago, I didn’t even have a smartphone. Aside from a few brochures that I was given in my doctor’s office, I had very little information about perinatal mood and anxiety disorders. Now, almost anyone can access online help for postpartum depression. There is so much more information for struggling mothers, that it would be a shame to let it all go to waste.